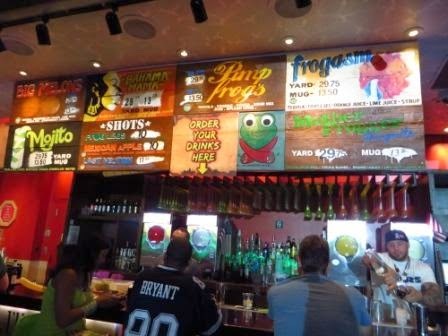 I had supper at Señor Frog's this evening. 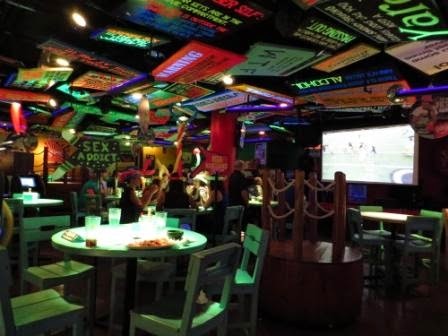 I had planned to go there and what sealed the deal was an old dude giving out coupons for free appetizers if you ordered a meal. 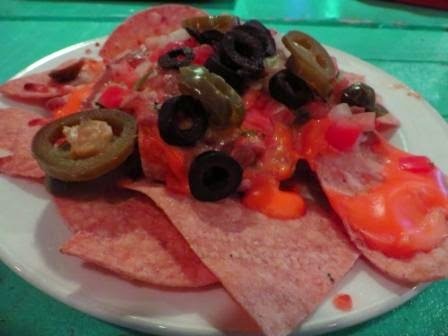 Here is the free appetizer ... mini nachos. It took a while for them to arrive and they were cold. 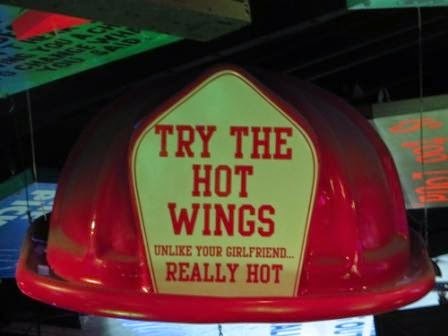 It's bad enough that they use canned cheese ... cold canned cheese is gross. 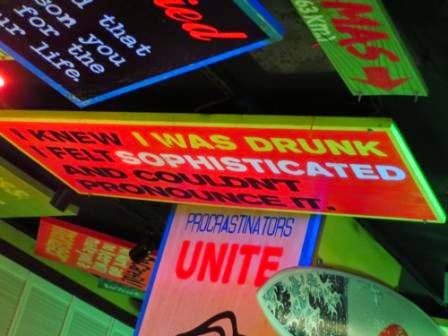 They were definitely not worth the price. 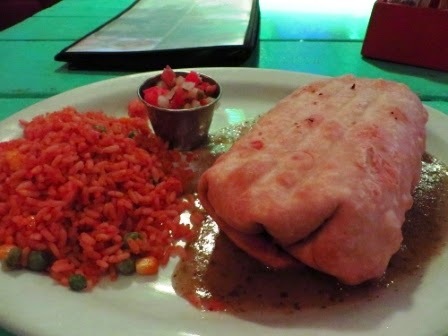 I ordered a chicken chimichanga, without sour cream or guacomole. 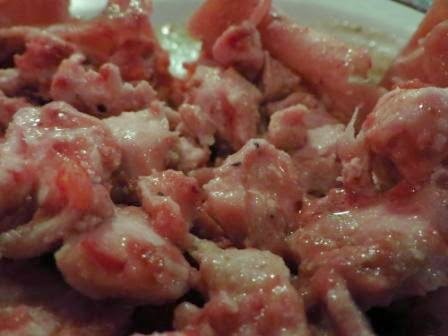 Though the chicken was good and there was lots of it, there was definitely no cheese mixed in with it. 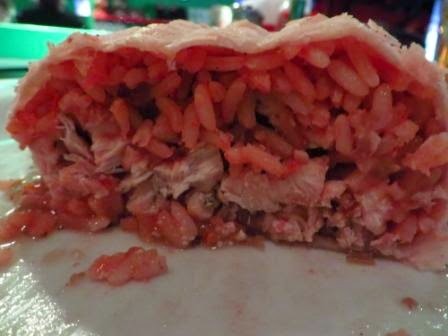 The Mexican rice inside really overpowered it (especially since there was rice on the side too). 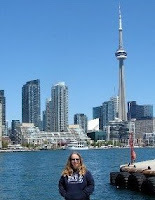 My server, while efficient, was rather cold and abrasive ... not warm and fuzzy at all. 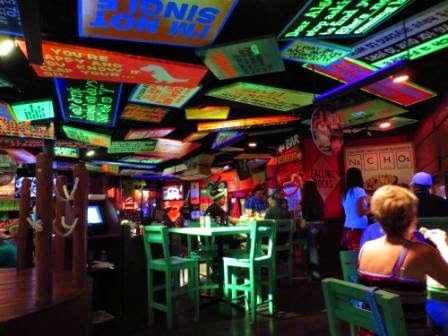 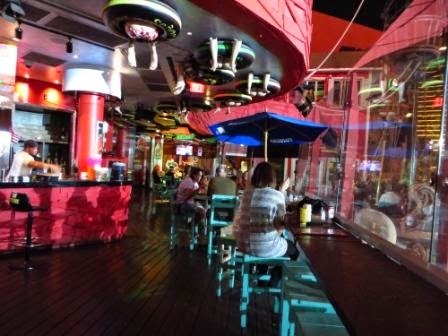 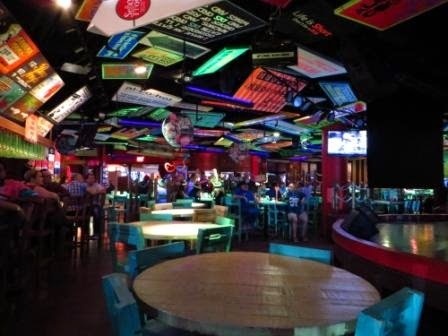 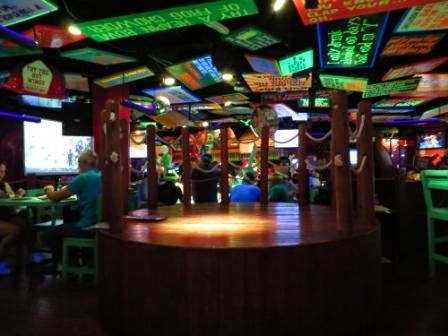 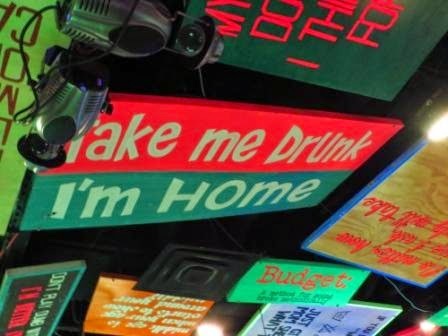 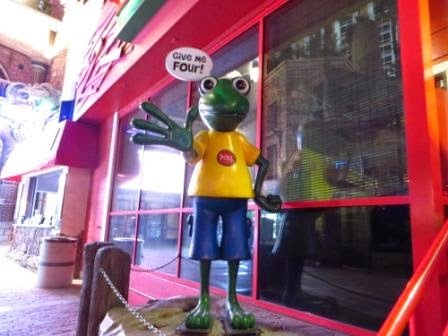 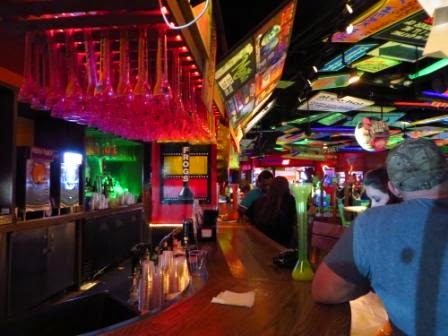 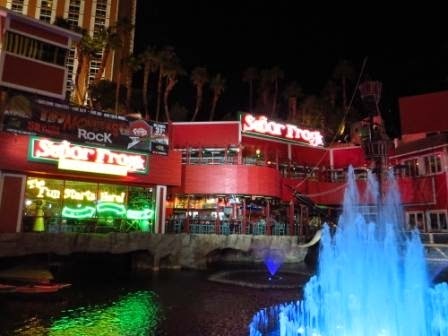 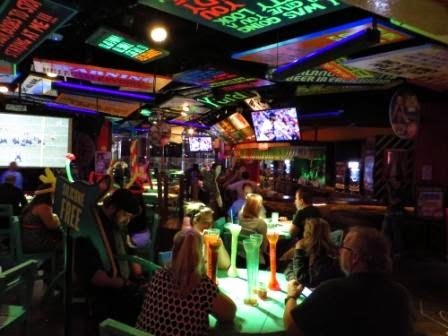 This Señor Frog's was a disappointment and I would suggested you not check it out. 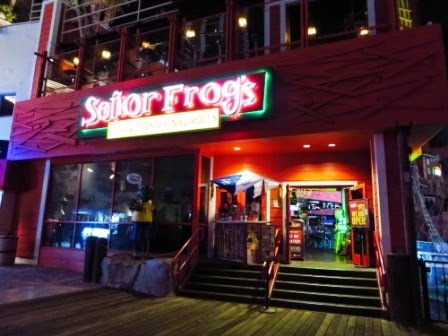 I definitely missed that place while I was there.